Have You Officially Forgotten About Your Home’s Windows? Despite our best intentions, our home’s windows often become an afterthought. Many of us have a lot going on, even if not especially when it comes to keeping our homes in the right kind of condition. Sometimes windows don’t seem to make the cut. That’s a problem. If you or someone you know is looking for replacement windows in or near Sacramento, CA, remember that there a number of options that can address your home’s window needs—whether you realized you had them or not. Those options include windows made from wood, vinyl, fiberglass, aluminum, and wood that has been clad in either vinyl or aluminum. Whether your home is a modern masterpiece or a more traditional example of suburban architecture, there is certainly a window that will fit with your overall look and feel. There are also a range of styles that should work with any design. The first step is admitting that your windows may have a problem. If you haven’t been paying attention to them for a while, that very well be the case. It is easy to forget about those windows. Unfortunately, time doesn’t forget them. Windows may last for a long time, but they do not last forever. It is imperative that you check in on them from time to time. Many windows will show their age after a while. They may even suffer fairly obvious forms of damage over the years. Wood windows are often vulnerable to insect damage or damage that’s been caused by bad weather. Moisture can certainly become a very real problem, as well. Those wood windows also tend to require a fair bit of maintenance here and there. If you have avoided that maintenance or simply didn’t have the time to address them, they may have become a problem. Other kinds of windows face the test of time, as well. 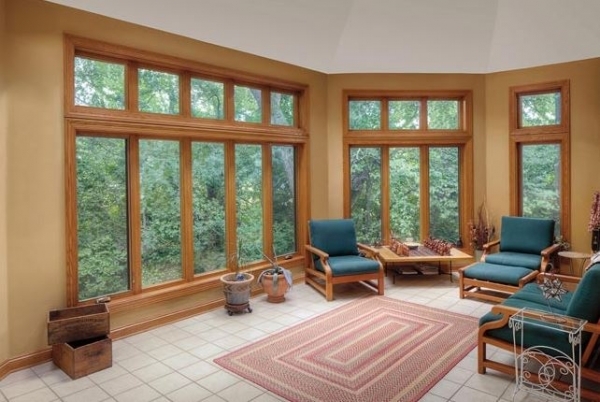 Vinyl windows may even begin to warp due to extreme temperatures. That’s not good. The good news is that these are the kinds of signs that can be detected. If you check in on your windows or have them inspected, chances are these kinds of problems will show up pretty readily. Even if your windows aren’t damaged or aging in all the wrong ways, it may be worth looking at them from another angle. The big question here is whether or not they’re beginning to look dated. They may be fine structurally, but they may be having some issues aesthetically. If that’s the case, it is perfectly reasonable to begin thinking about some replacements. You may even wish to speak with a designer about the direction in which you wish to go. Again, it may be tempting to overlook the importance of your home’s windows. But if you notice that they’re out of step with the rest of your home’s design, it is probably time to take action. If you are interested in replacement windows in the Sacramento, CA, area, consider reaching out to Hall’s Window Center. Even if you have forgotten about your windows, you can rest assured that we won’t. You can visit us at 11297 White Rock Rd, Rancho Cordova, CA 95742 or place a phone call to (916) 669-1469.